Bhutan has a total of 700 glaciers according to the 2018 Bhutan Glacier Inventory released by the National Center for Hydrology and Meteorology (NCHM), recently. The new study says the glaciers cover an area of about 630 square kilometres or 1.64% of the country’s total land area. 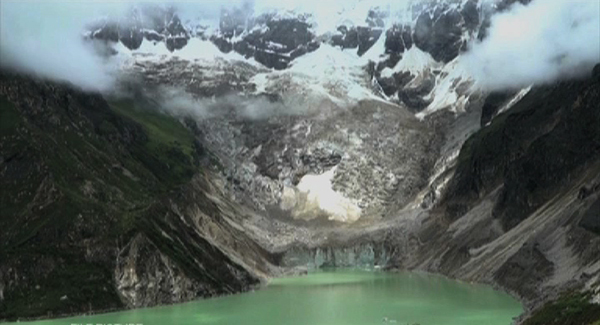 Thorthormi glacier in Lunana is one of the 341 glaciers in the Punatsang Chhu basin. The Punatshang Chhu basin consists of three sub-basins namely Pho Chhu, Mo Chhu and Dang Chhu sub-basin. As per the study, Dang Chhu sub-basin has no glacier contributing to the river system, but the other two combined has the highest number of glaciers in Bhutan. The other river basins are Wang Chu basin, which consists of Thim Chhu, Pa Chhu, and Haa Chhu, and Manas Basin consisting of Drangme Chhu, Mangde Chhu, Kuri Chhu, and Chamkhar Chhu sub-basins. Among the three river basins, Wang Chhu basin has the lowest number of glaciers at 47. The Manas Chhu basin has 312 glaciers. The largest glacier, which is almost 16 kilometres long, lies at the base of Gangkar Phuensum in the Mangde Chhu sub-basin. However, figures maintained by the Glacier Area Mapping for Discharge in High Asia Mountains (GAMDAM) in 2015 and International Center for Integrated Mountain Development(ICIMOD) in 2014 vary. The current study by the NCHM saw a significant decrease both in terms of number and area size of glaciers in the country. The study attributed such variation in number and area size to the inclusion of snow cover on steep slopes as separate glaciers, the inclusion of seasonal snow-covered lakes as glaciers, and use of improved satellite images by the previous reports.